December was my birthday month and so my gift to myself was a subscription box! 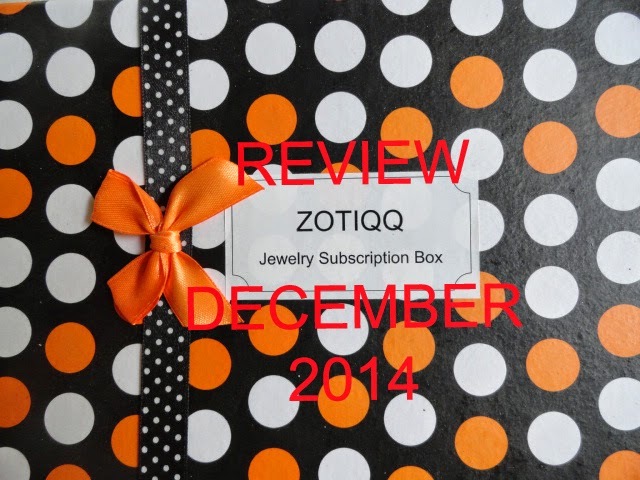 I have read so many lovely reviews about the subscription box from Zotiqq jewellery that I just had to try it. 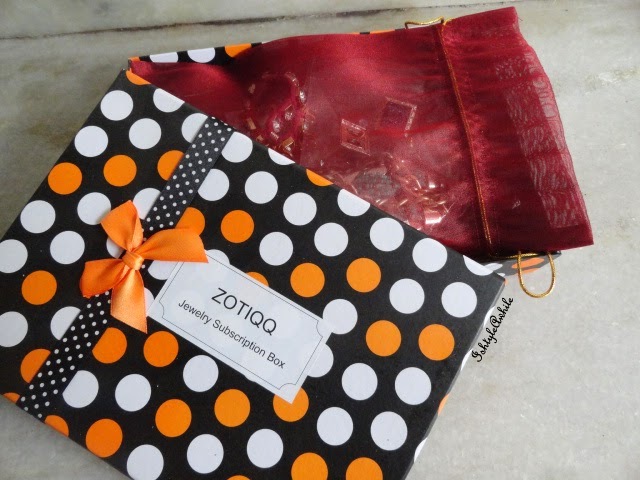 It isn't my first time shopping from Zotiqq. 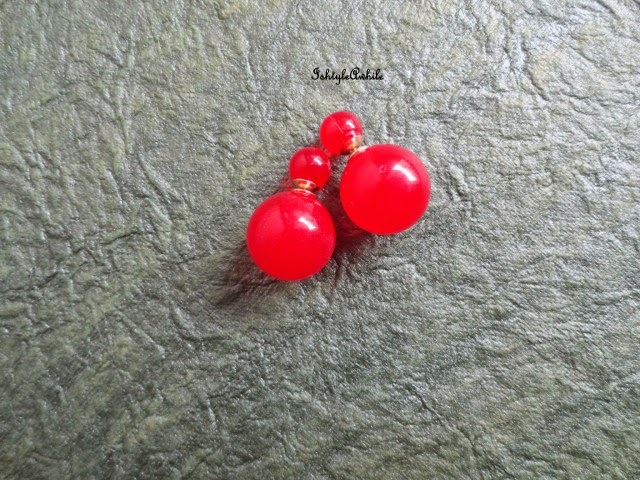 I have already done an outfit post featuring a pair of Aztec earrings that I bought from Zotiqq. I went ahead and booked the Glam box and got 5 pieces of accessories. The packaging is really cute. The box has a bow and polka dots on it!! Like how cute, right?? I am definitely reusing this box. 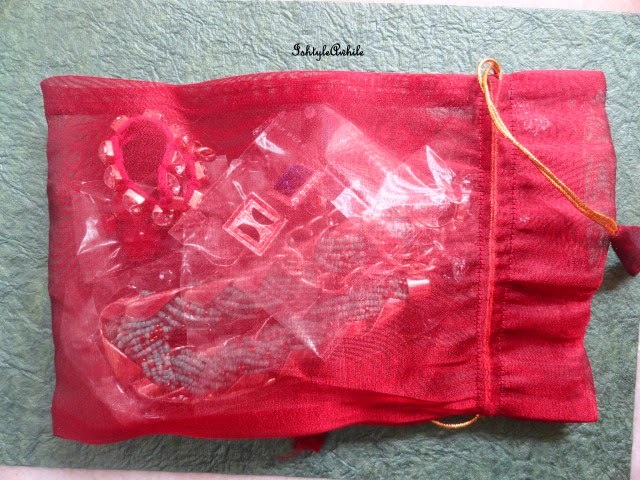 All the pieces were individually packaged in bubble wrap and a jewellery bag to store all the pieces. 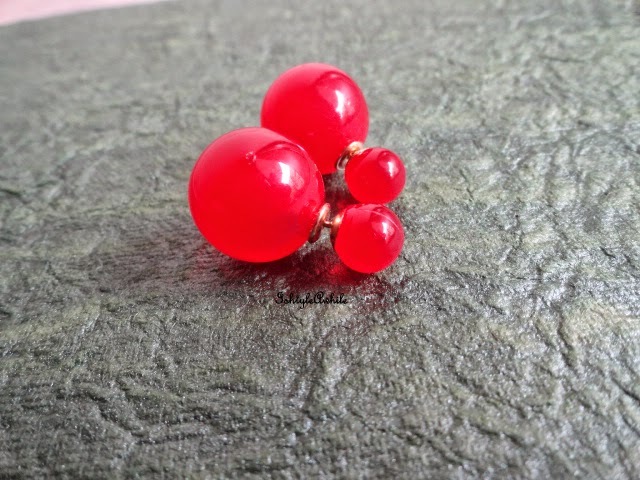 1) A pair of red earrings. Now these earrings are like ulta earrings. I mean the big round is the back of the earring and the small round is the front of the earring. in all honesty, I would have never bought an earring like this because I would have been too scared to experiment with something like this. So once I figure out how to and what to pair this with, I will have a post up. 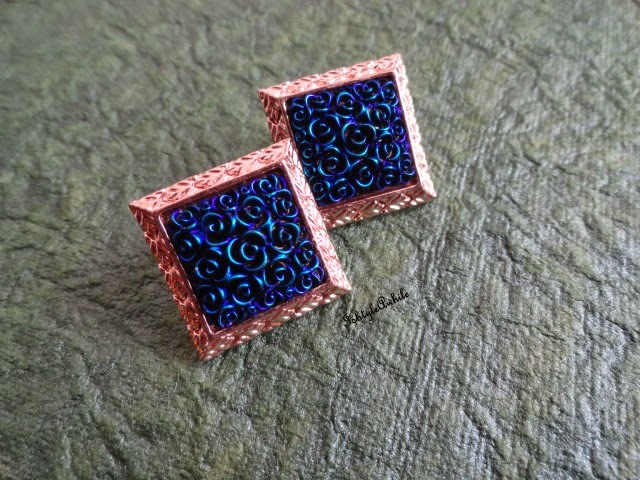 Square earrings with bluish green roses. This piece is just stunning and I like I have the perfect top to pair with this. I can't wait to wear this. I think I would wear this for a semi formal occasion or to dress up jeans. 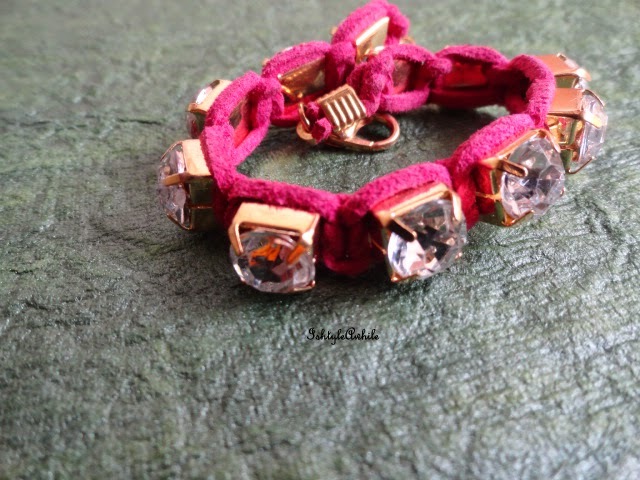 4) Pink bracelet with stones. I love bracelets with stones in them and I don't own a pink bracelet at all. 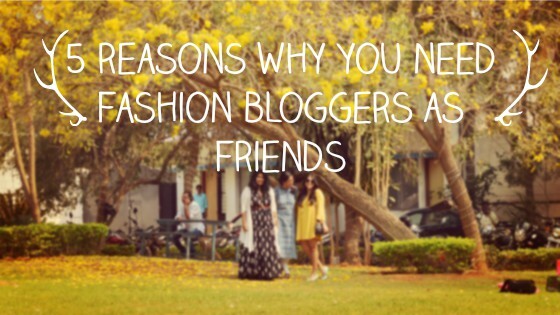 I think this can be paired with both ethnic wear and western wear. It can be layered, it can be worn alone. So all in all it is a really versatile piece. 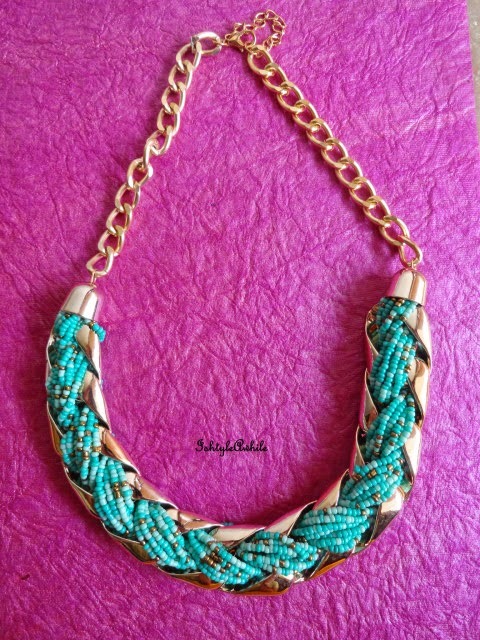 5) The statement necklace in teal. Can this colour be called teal or is it sky blue? Either way, I LOVED this the most. I am so excited to pair this. I have already started trying to put together outfits to pair with this. 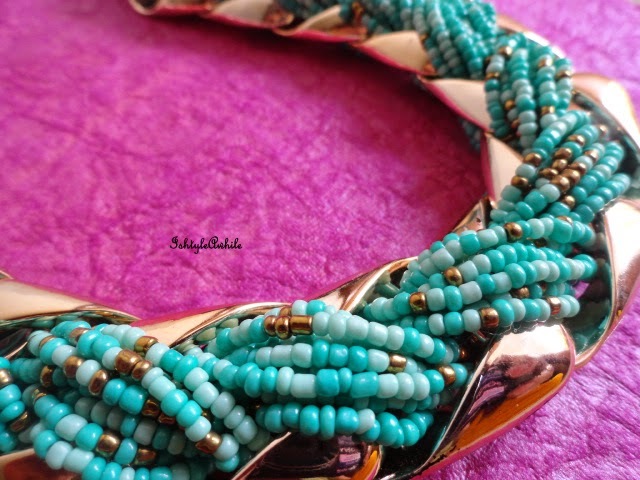 It is simply a gorgeous gorgeous piece. 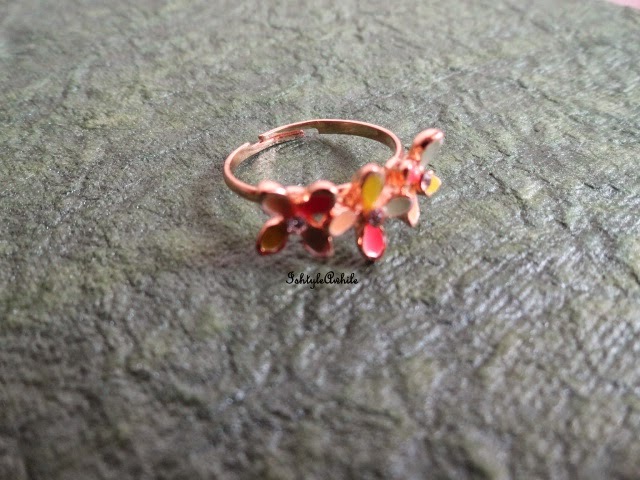 So this is what I got from my very first jewellery subscription box. I am really happy with all the pieces. They look pretty and are really good quality. Hell yes! But may not in the very next month itself. I have some destashing and rearranging that I need to do with my accessories and then I will definitely start collecting again. Click here to go to the Zotiqq website. Let me know which is your favourite piece from these. P.S. this is not a sponsored post.I bought the box with my own money. I really loved the box and so I had to share it.